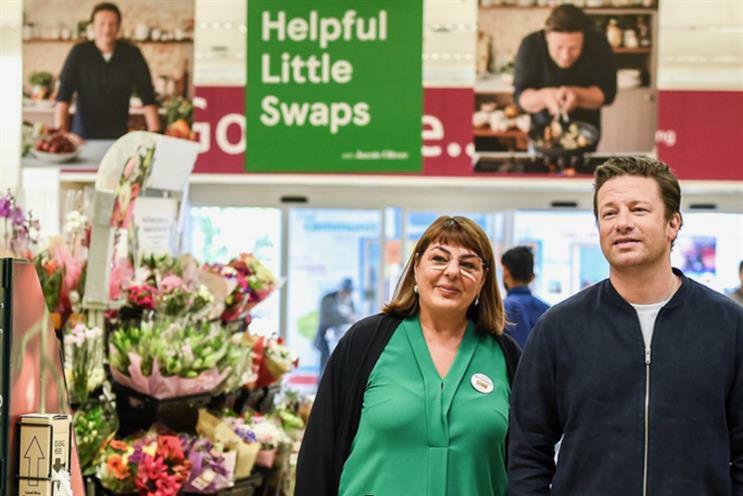 Former Sainsbury's brand ambassador Jamie Oliver has been signed up by rival Tesco to become the face of the supermarket's drive for healthier eating. The TV chef, campaigner and restaurateur will front Tesco's "helpful little swaps" in-store push from this month. The "little swaps" promotion offers shoppers lower-sugar, lower-salt, lower-fat and cheaper alternatives to items in their shopping baskets. A basketful of "little swaps" will cost 12% less than a regular basket. Oliver will appear across a variety of in-store material, including posters. Although he is not understood to be appearing in any above-the-line advertising, Tesco described this initial round of activity as "a first step" in the partnership. Oliver is also behind a series of recipes and tips that will be promoted in Tesco stores and online, with many of the ingredients reduced in price to tie in. This month, four Oliver recipes will be unveiled — veggie noodle stir fry, fish-finger sarnie, mighty mushroom and kale frittata and veggie quesadilla bake. A former critic of some of Tesco's business practices, Oliver commended Tesco's "leadership" over the past few years. He said the company had "consistently raised the bar when it comes to so many important initiatives", citing projects to cut food waste and Tesco's "Free Fruit for Kids" in-store programme. The announcement of the partnership follows a survey of 2,000 shoppers. It found that seven out of 10 families reckon supermarkets should do more to help people make healthier choices, while 70% said they would welcome more practical advice and inspiration. 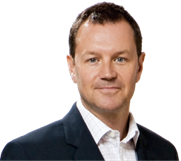 Oliver added: "These survey results back up what I hear from my audience every single day – Britain wants to know how to enjoy more of the good stuff, in easy fun and delicious ways. "This makes this partnership one of the most exciting opportunities to actually get Britain eating and celebrating more of their five fruit and veg a day. I’m going to work really hard to respond to the different seasons and what the customer is asking for, by creating exciting meals, short-cuts and tips that get people really fired up to cook. Tesco’s part is to make it easier and more affordable." Oliver was the face of Sainsbury's for 11 years until 2011 in a partnership believed to have earned the TV chef more than £10m. Recently Oliver's restaurant business has been suffering from a downturn on the high street. He recently revealed that he had put £13m of his own money into his Jamie's Italian chain to stop it from going under.